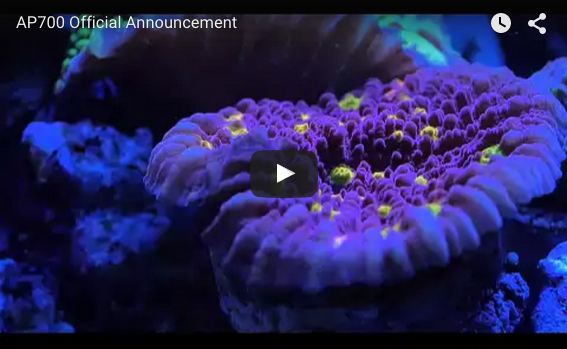 Recently Kessil’s Aquarium Division announced it’s first panel-style LED fixture as the AP700. Kessil’s first LED offerings included the compact A150 LED pendent followed by the A160. They subsequently added the A350 and A360 pendant fixtures to their LED product line. The A150 and A160 were designed for smaller aquariums while the A350 and A360 added more power and a slightly larger footprint for bigger applications. Realizing that a pendant style fixture is limited in intensity and coverage, Kessil seized upon the opportunity to expand its lineup with a panel style fixture. The AP700 will be priced at $895.00 in its initial offering, however that price is scheduled to increase to $949.00 after it is on the market and in full production. Although some would consider it a bit pricey, the AP700’s functional capabilities will justify it’s cost for many reef aquarists. Featuring patented dense matrix led arrays and hybrid optics, just one of these fixtures will provide full coverage for a 48″ long aquarium. The onboard optics create a wide beam pattern with the comparable penetration of a narrow beam pattern. The hybrid optics minimize shading under ledges, overhangs and in-between coral branches promising favorable par values throughout your reef environment. The results should allow for improved growth rates and potential coloration improvements in many of the branching Scleractinian corals. The Kessil AP700 connects to your wireless notebook, tablet or smartphone device via a stable and secure WIFI connection . The AP700 offers full color control, weather effects, moon lighting and lunar cycles. The fixture also has built in touch sensitive controls just in case your wireless device is not available. We expect more information and videos to come out in the very near future and look forward to seeing the AP700 in operation at MACNA 2015. The AP700 is slated to begin shipping in September of this year. Scott, has your company Aquarium Specialty taken over the Blog? Thanks for the comment. 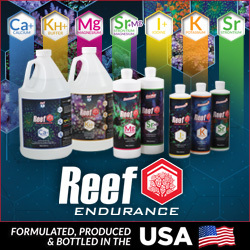 Yes, I purchased the blog from Brandon (see this link) https://aquanerd.com/2015/07/aquanerd-is-reborn-under-new-ownership.html but AquaNerd and Aquarium Specialty will remain separate companies and we will treat them as such. Aquarium Specialty is a warehouse import/export operation with reef tanks in the front offices. We accept walk in customers M-F.
What’s the PAR reading on the Kessil AP700?